In Zimbabwe, I learned of an emerging young women’s movement that is both robust and inspiring. These young women are energetically building on the work of the previous generation of women’s rights leaders who had organized since independence in 1980. I found these young women’s achievements to be bright lights in the often grim political and economic landscape of the country. Ordinary women here – especially in high density and rural areas – endure many adversities due to economic insecurity and everyday patriarchal practices. While some protective measures exist, such as the 2009 Domestic Violence Law, most of these women face harmful traditional practices such as Lobola/bride price, child marriage, and virginity testing. There is also gender-based and political violence, a lack of safe spaces and shelter for survivors of abuse, trafficking, internal displacements, and the feminization of poverty. 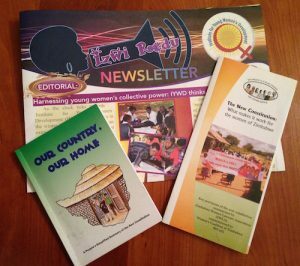 A useful tool for improving women’s conditions could be Zimbabwe’s New Constitution, approved by a national referendum in March 2013. I was encouraged to find that it includes some strong new provisions that protect women’s rights. These include the right to equal pay, to personal security, the right to be free from gender-based violence, as well as guarantees for female appointments to the executive branch and ministerial positions. These provisions were proud achievements for the women’s movement in Zimbabwe, which eagerly engaged with the national consultative process. With this huge boost, the vigorous hard work has begun now for women’s groups to operationalize these provisions, and change the reality of women’s lives. It’s not surprising to see, though, that in their reality, young women and girls have virtually no social, economic, or political power. Many young women are concerned and angry about high levels of gender-based violence, daily household and economic burdens, and lack of a voice and rights. 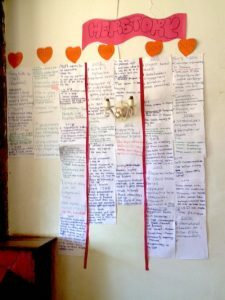 The last five years, however, has seen a blossoming of young women organizing around gender, youth, and sexual health and rights, alongside practical issues of survival. These fresh young voices are pushing at the harsh burdens and cultural boundaries in a way that is constructive, refreshing, and courageous. In a Zimbabwean society strongly ordered by male power, the Institute for Young Women Development (IYWD) organizes against all forms of suppression which places young women and girls at the bottom of the social hierarchy. 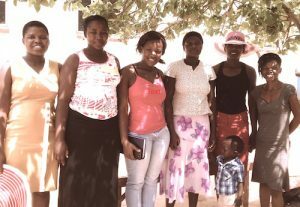 IYWD has made major strides over the last few years to organize young women from side-lined rural, farming, and mining communities in Mashonaland Central Province. Many of these girls and young women are forced, coerced, or step into early marriage. Instead of successfully escaping difficult situations at home, they often end up in another cycle of poverty or abuse. With a strong focus on finding resources for their members, IYWD believes that for young women to realize sustainable livelihoods, their voices need to be represented in multiple spaces ~ in the family, community, at village level processes, and in national discourse. Coming together, they have created a safe space to promote their engagement to access much-needed resources, and influence community discourses and realities. By developing their economic capacity and strength, young women can gain respect as income-earners who contribute to their families and are self-reliant. As they develop some independence, it is often a strong boost to their confidence, to finding their voices, and getting involved as decision-makers. Encouraged by the New Constitution, IYWD is clearly making constructive changes at the community level. One specific constitutional clause that protects women’s rights with respect to customary laws and practices is particularly helpful. An innovative idea, IYWD has created Peace Committees, which are peaceful platforms for constructive dialogue. These platforms are used to engage in deep work with traditional leaders and the Chief system, and to influence local, traditional court systems. The Peace Committees were set up in 2013 with the goal of detecting early warning signs of violence, and report and track issues of Violence against Women (VAW) at the point of delivery of justice. They are strong mechanisms for engaging community leaders in addressing the different forms of violence suffered by women and girls in the communities. Splendid progress has been made in a couple of short years. Young women from the district of Bindura, for example, have taken the lead to position themselves to influence important community issues and cases, brought before the local traditional courts. This model brings together IYWD members, traditional and religious leaders, village health workers, local councilors, and Victim Friendly Unit police representatives. In the past, young women had no access to community decision-making spaces, where their needs and rights were unknown. Now they have a say in the discussions. They actively bring up, promote, and protect the rights of young women and girls in the Peace Committees, as well as in individual cases that come before the traditional courts. Not only is this approach respectful and collaborative, it is earning young women real respect in the community.